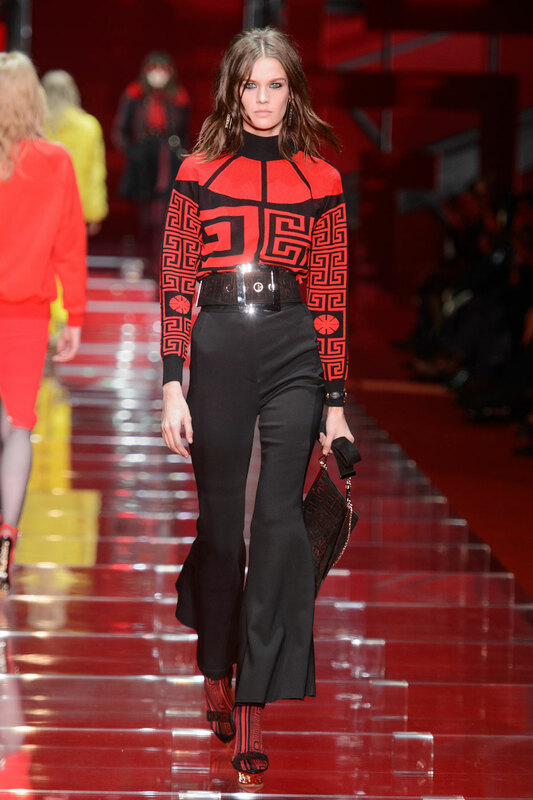 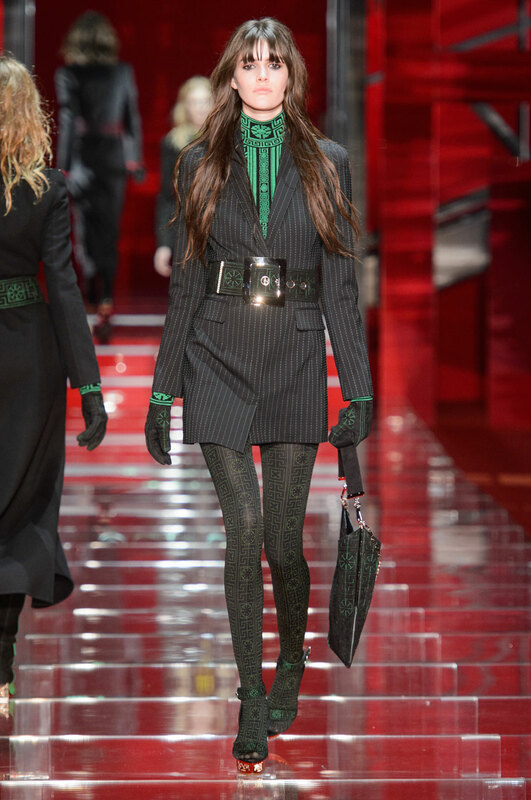 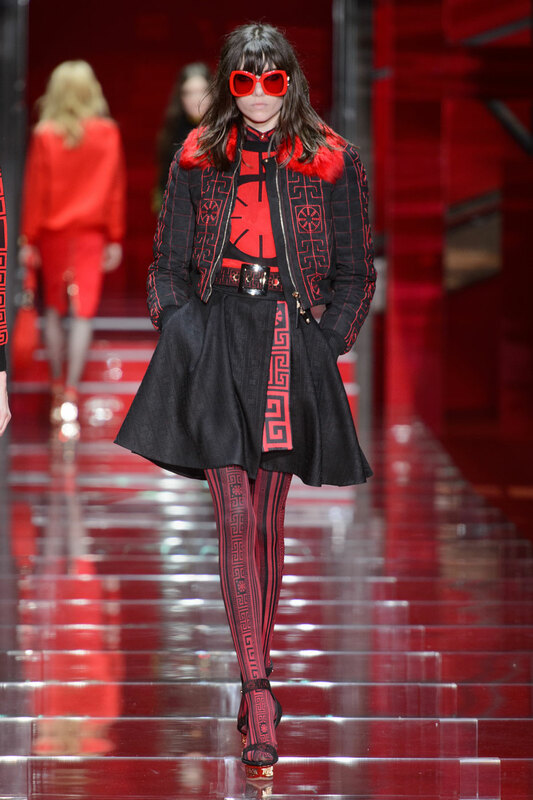 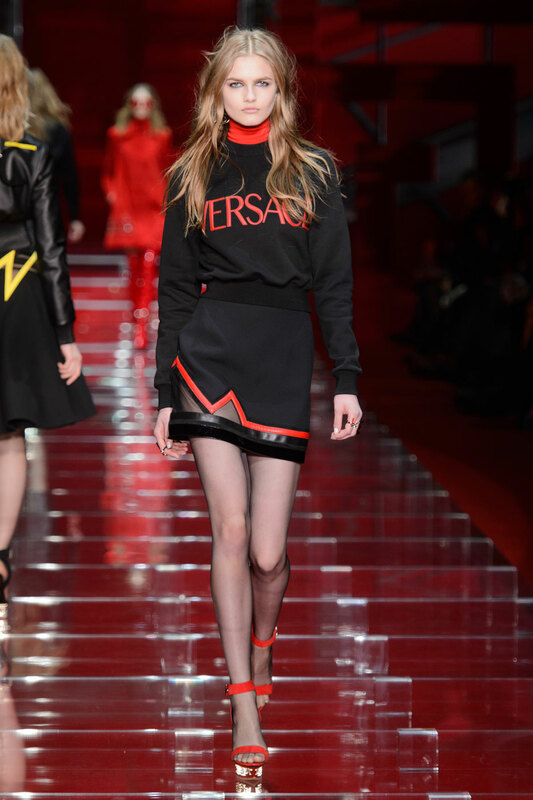 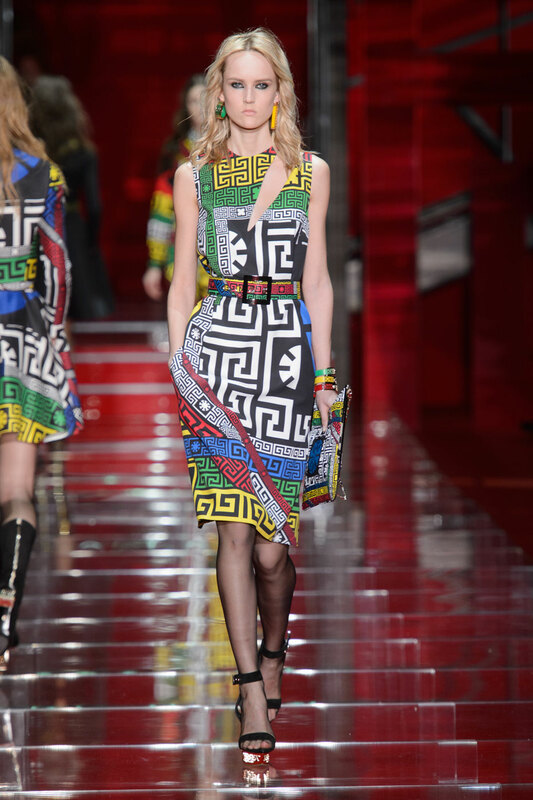 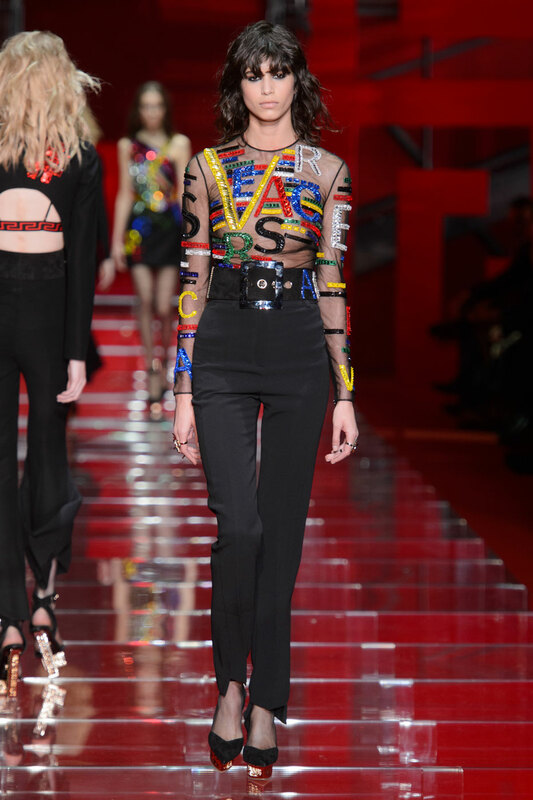 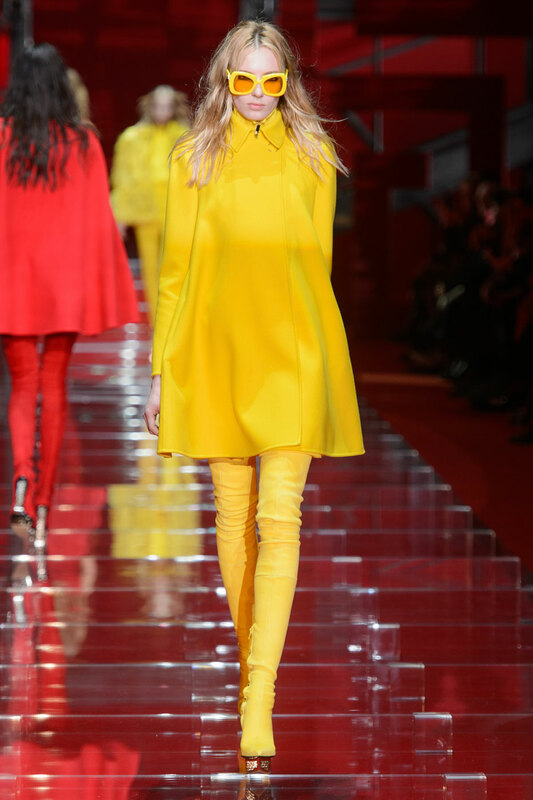 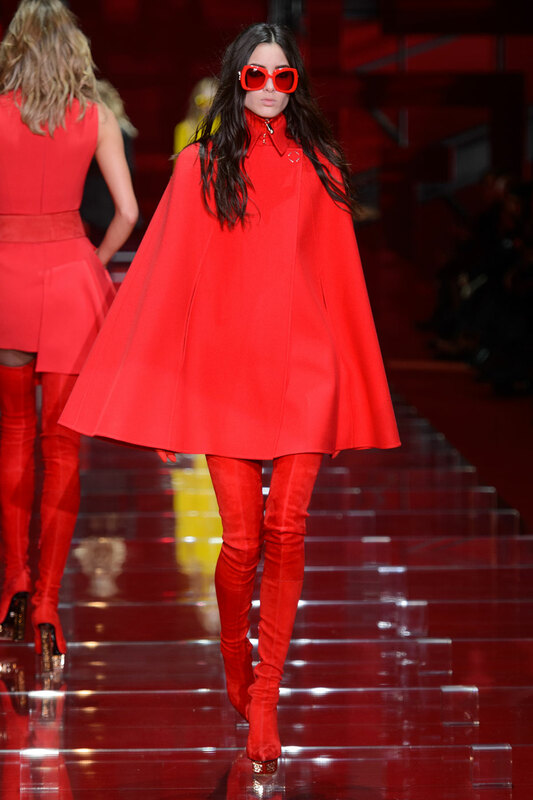 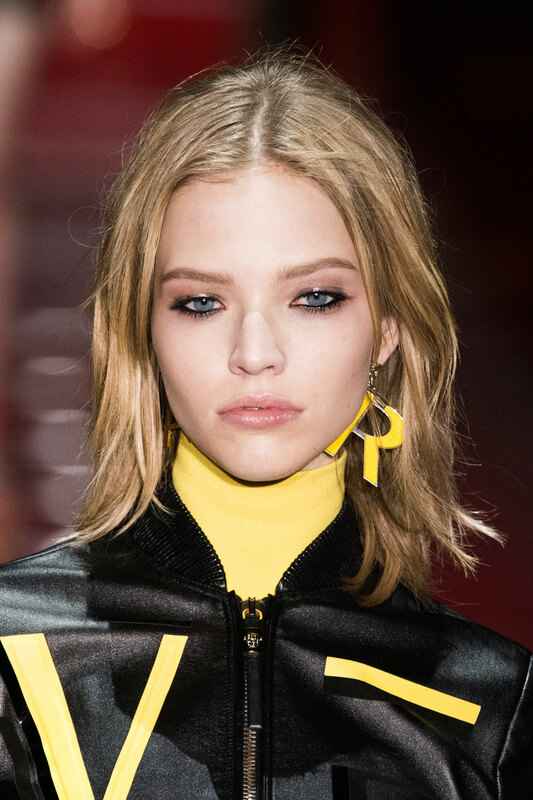 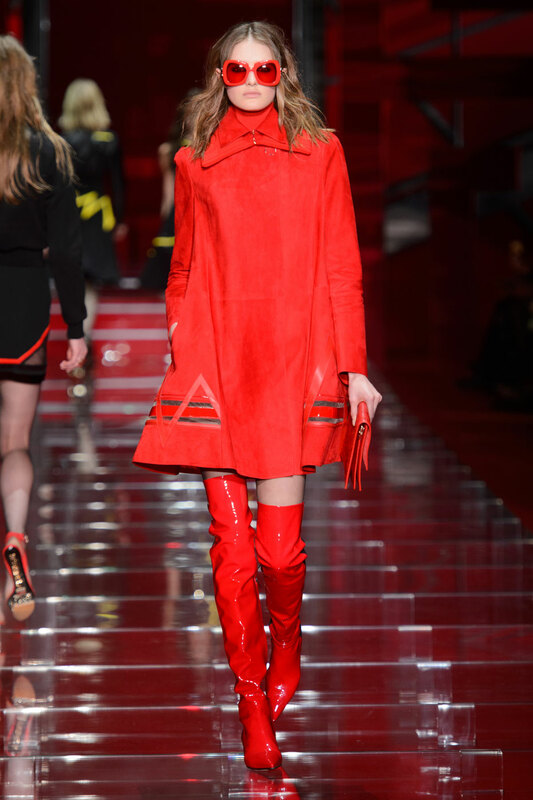 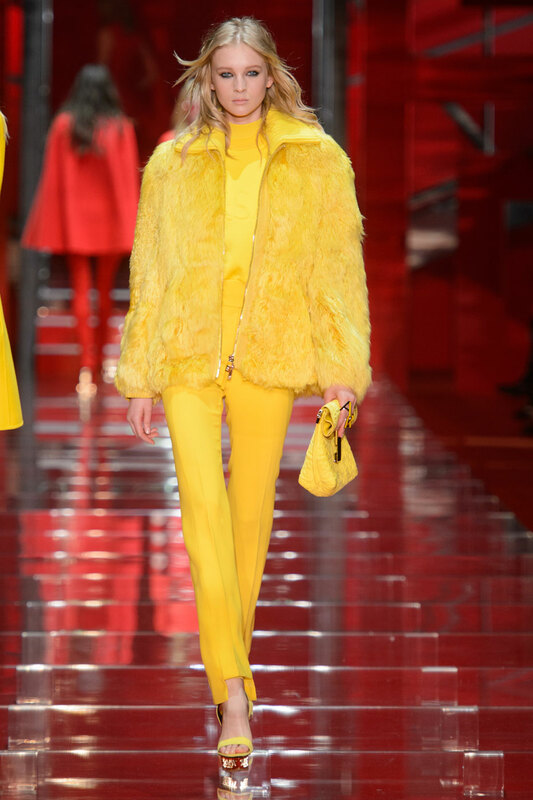 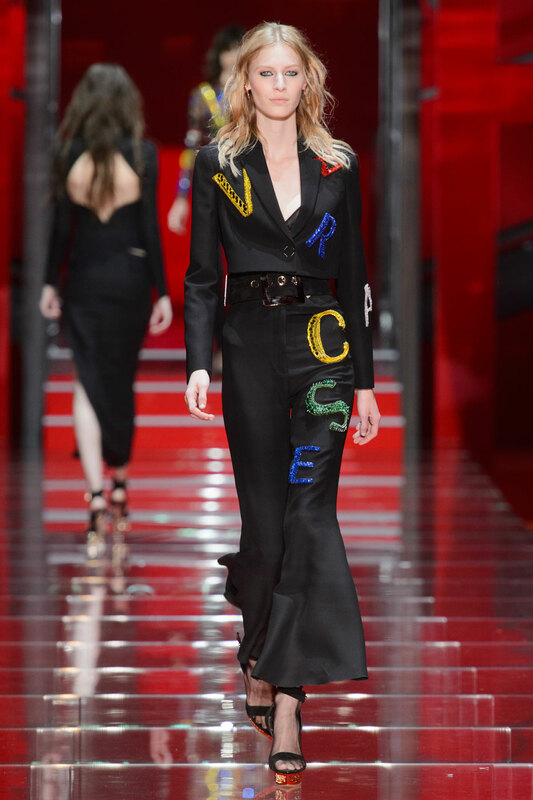 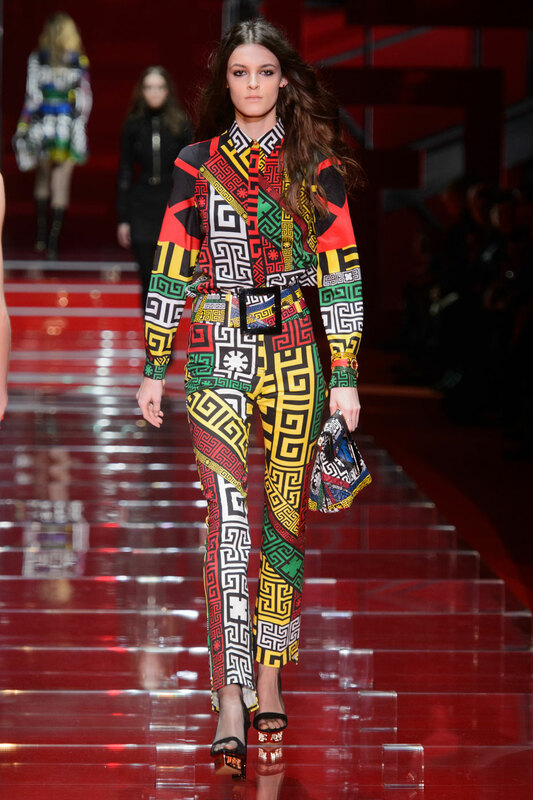 Versace Women Autumn-Winter 2015 – Once again Versace dominate the runway boldly and most definitely brightly. 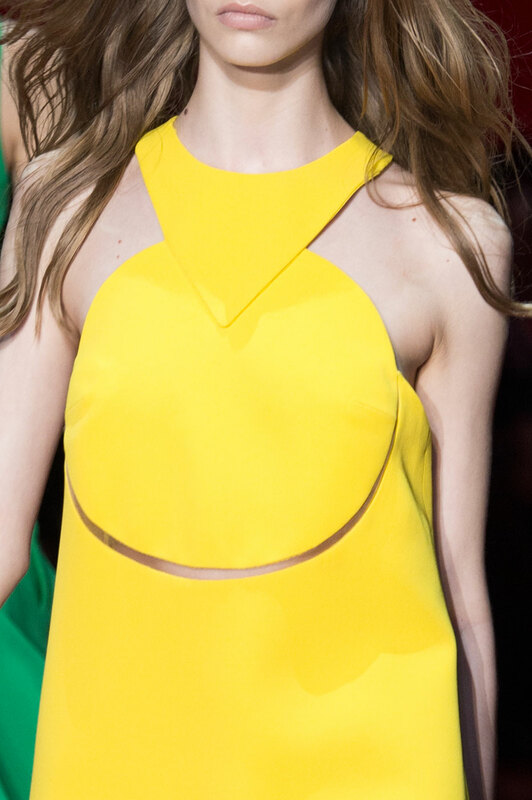 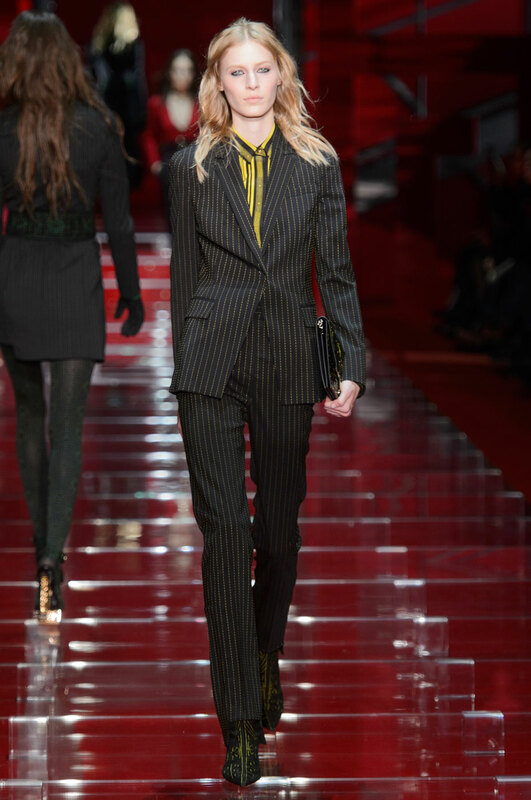 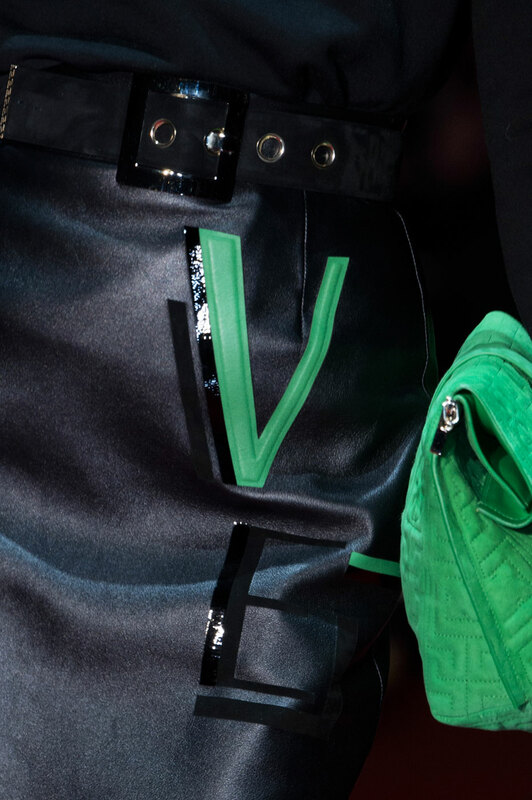 This season Donatella Versace has edited and updated tailored cuts, giving Versace an eccentric makeover. 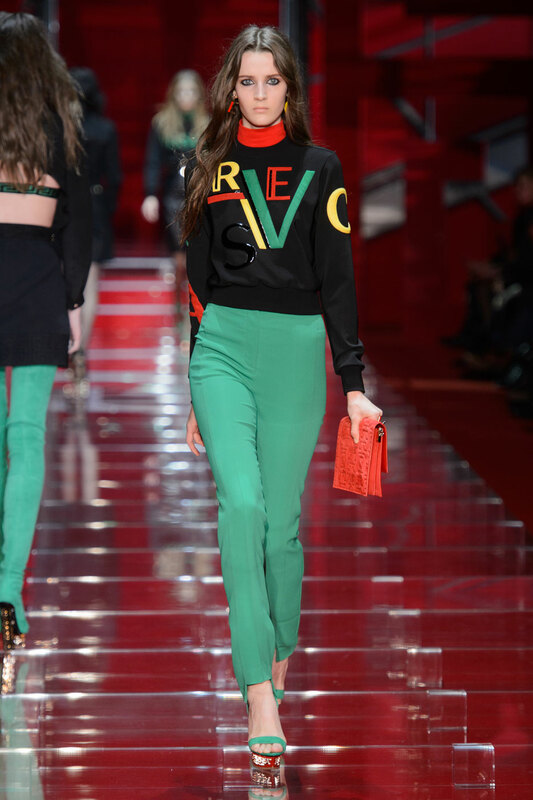 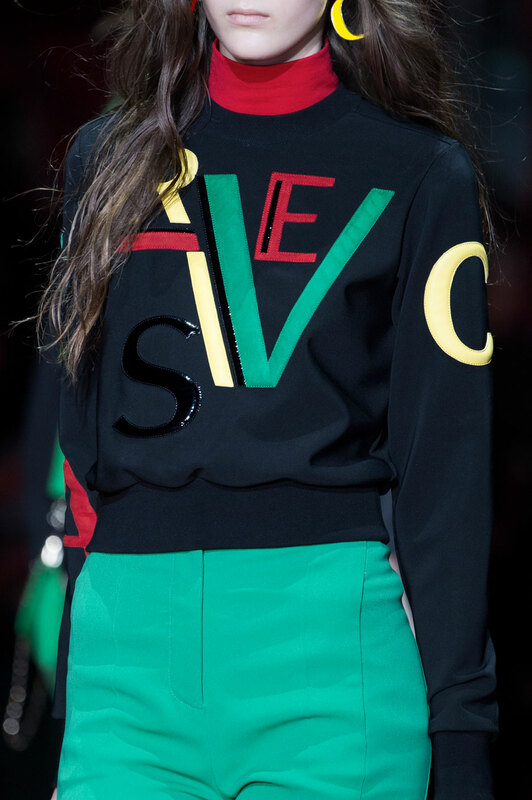 The girls wore statement pieces in a simple yet expressive colour palette, of green, blue, yellow, red and black. 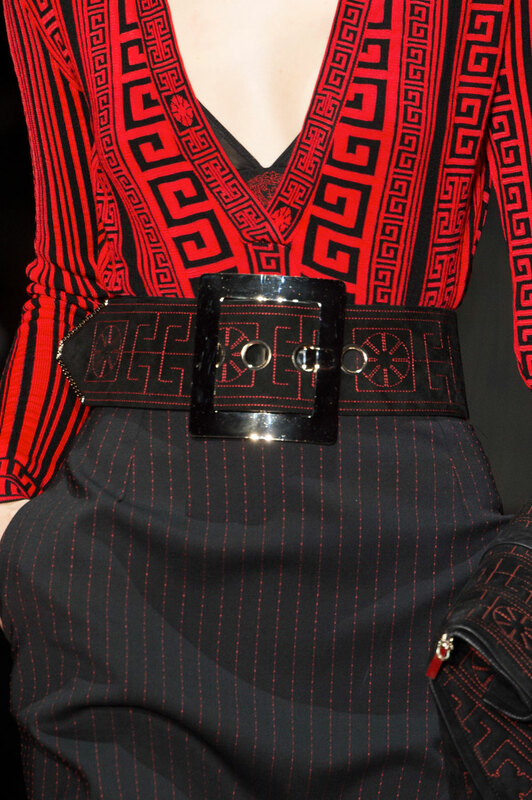 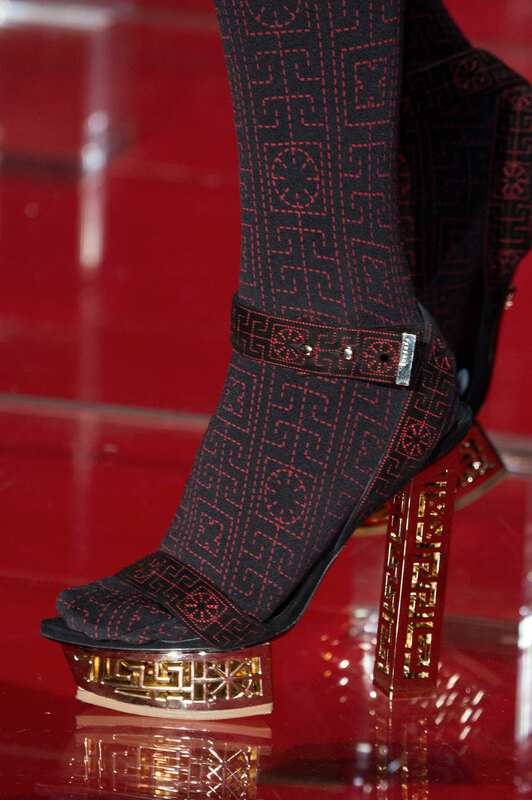 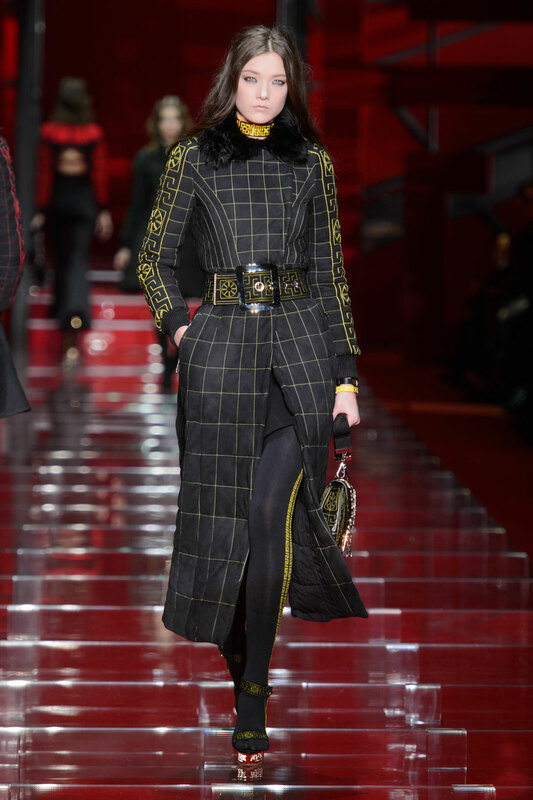 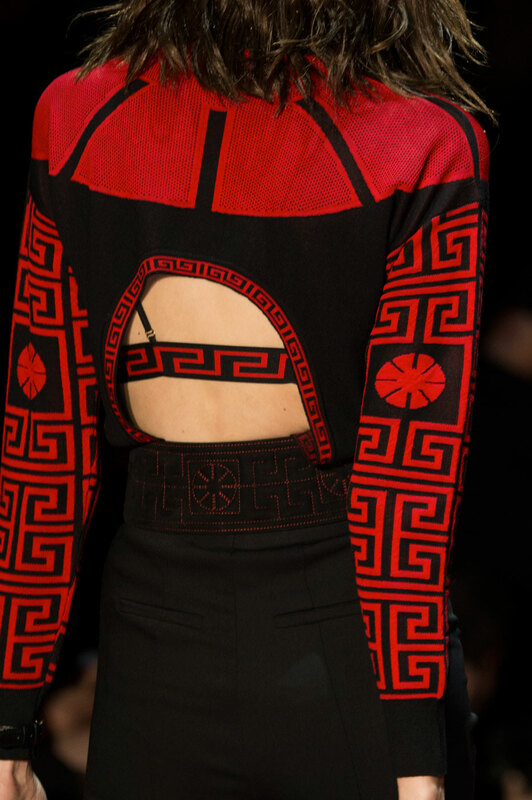 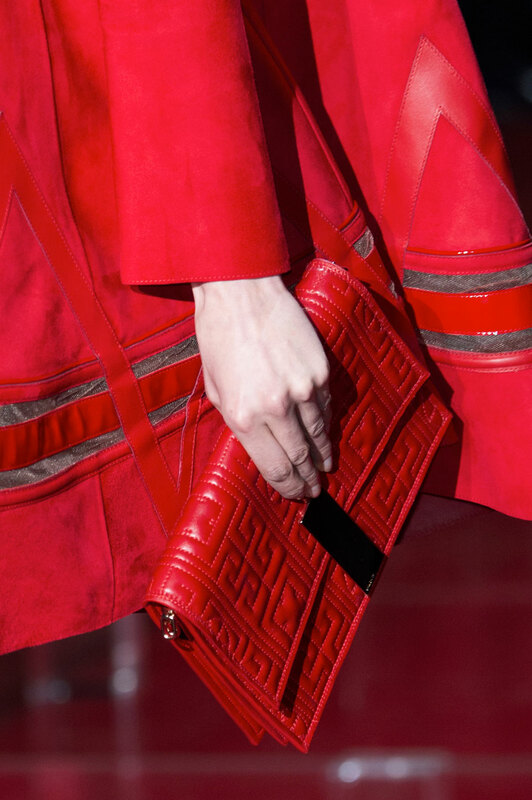 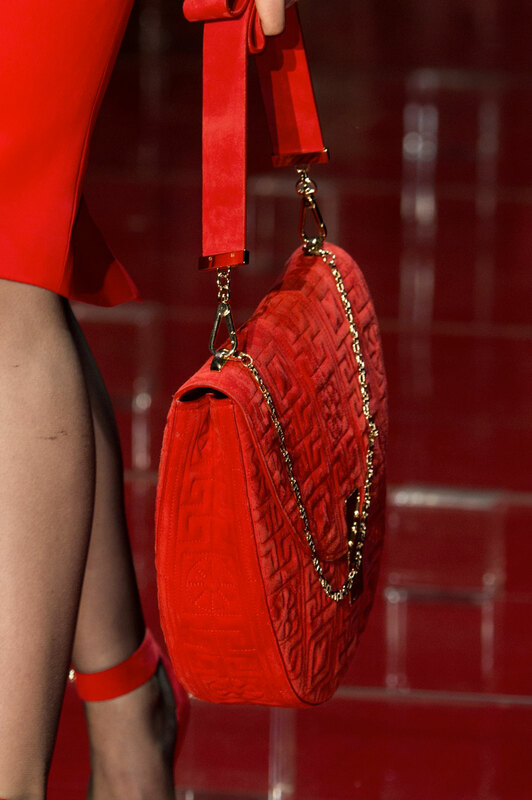 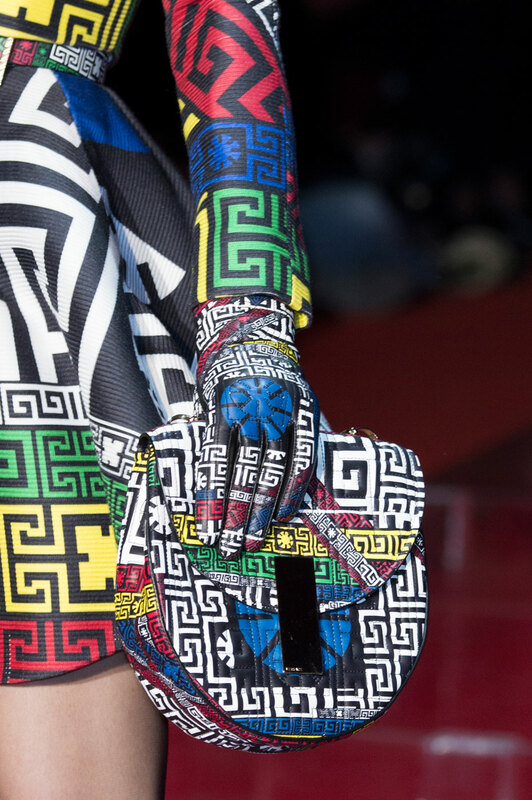 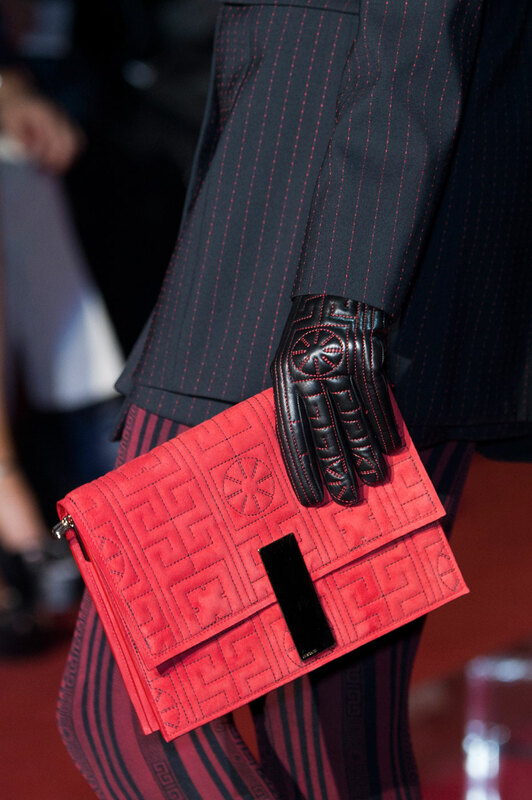 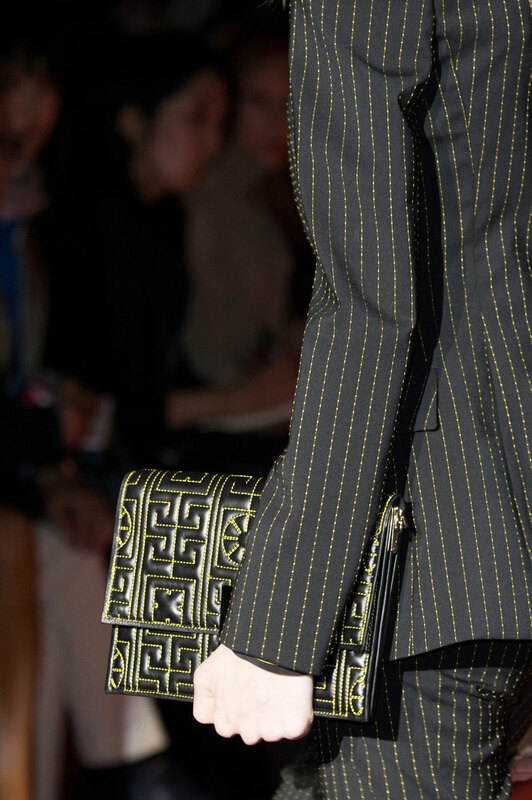 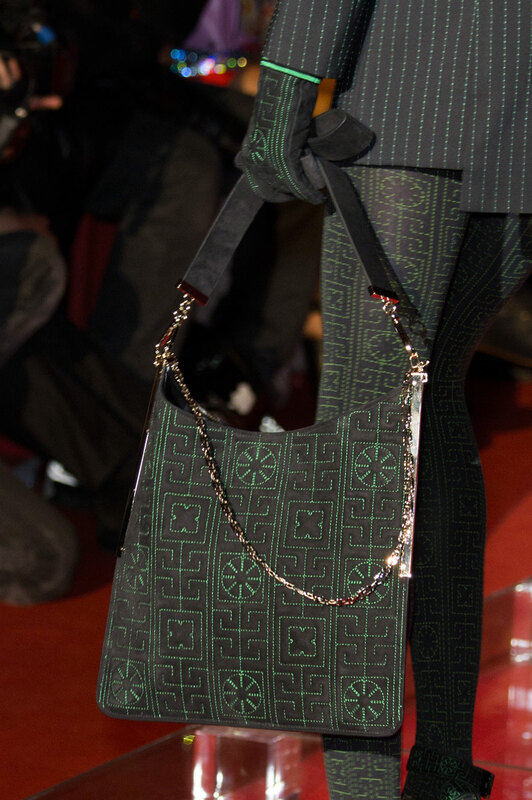 The cuts and greek prints are fierce and scream Versace. 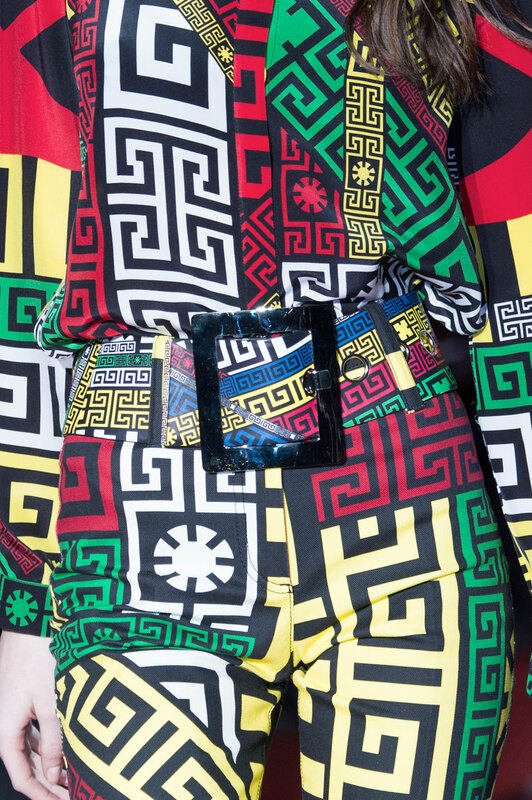 This was present throughout the show, on zig-zag covered outfits, printed tights, powerful blouses and chunky belts. 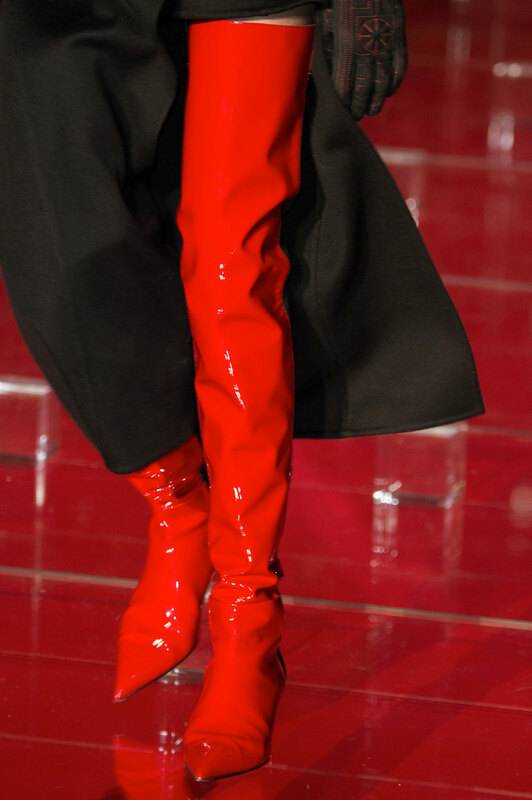 And the boots were just as bright as the clothes, thigh high with attitude. 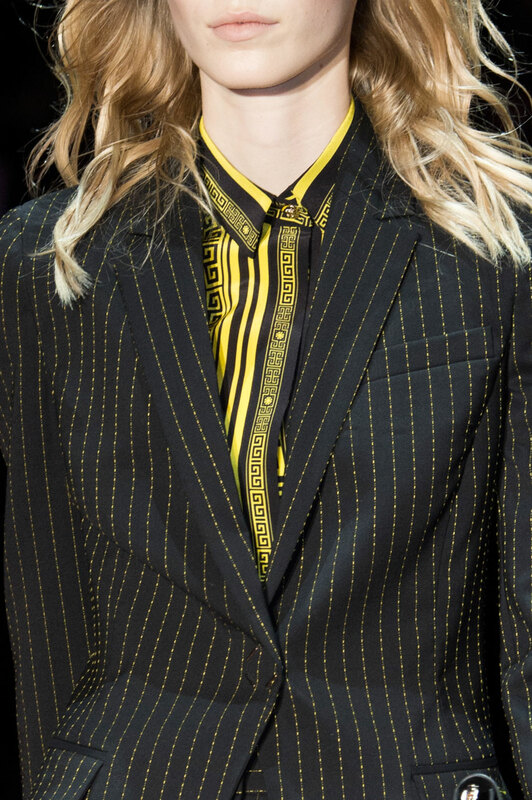 However, a fair amount of the collection had a modern, stylish edge, with black tailored suits and dresses sliced to express hidden bursts of colour. 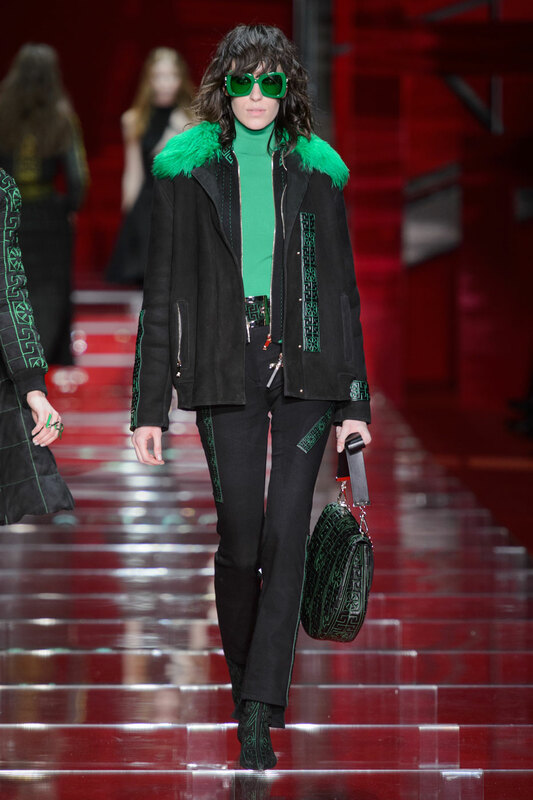 The splash of green was at is best expressed through shaggy furs, dominating whilst adding texture. 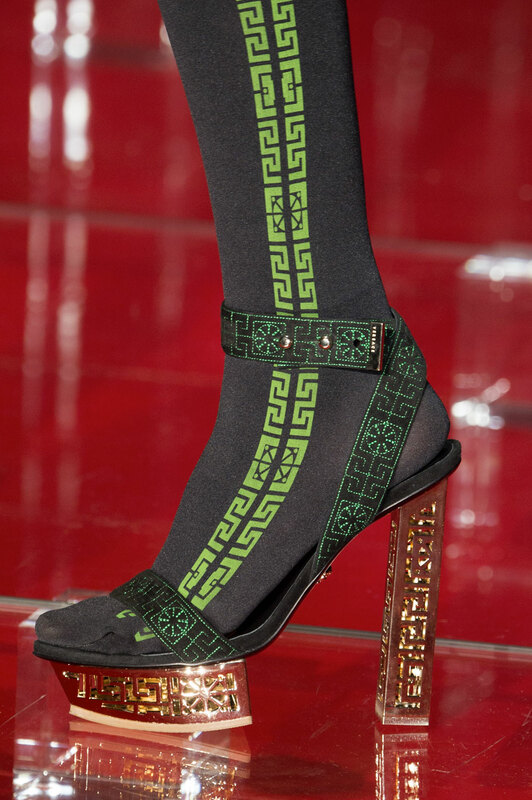 But what is so very impressive about this collection is the attention drawn to detail. 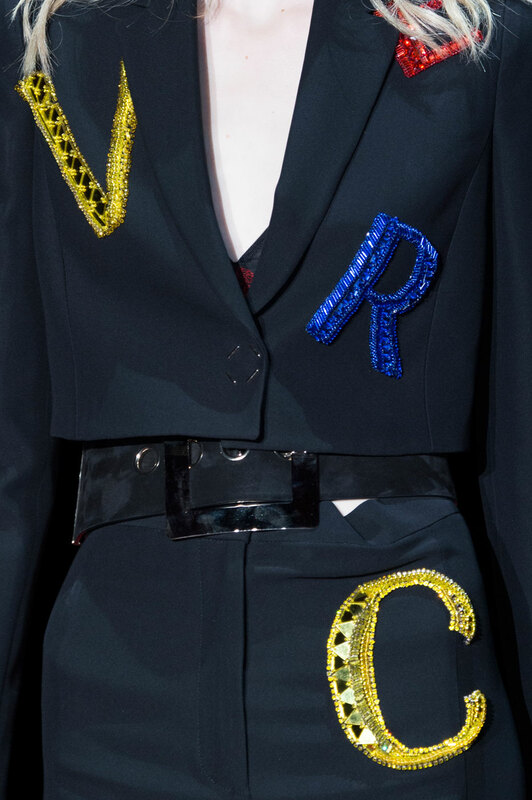 The embellishment seen at the end of the collection, beautifully empowering the fabrics, truly stated the skill behind Versace. 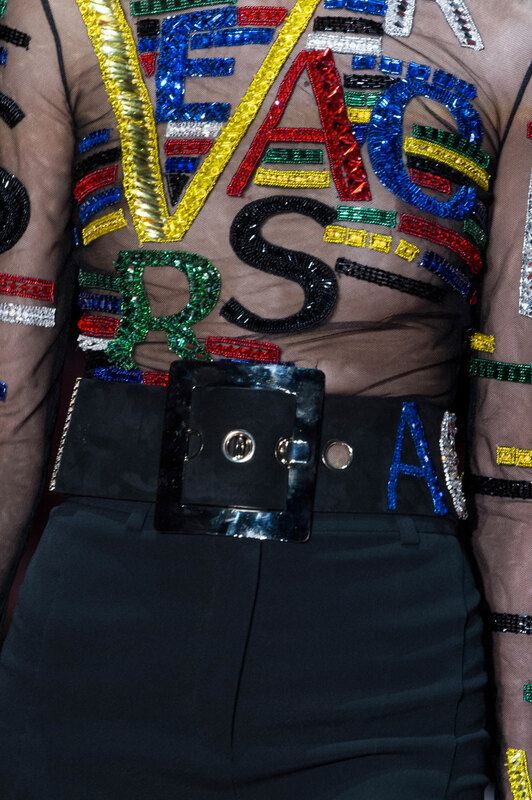 We see the fashion house spelt and scattered in dazzling, intricate designs placed so beautifully on lighter mesh-like materials. 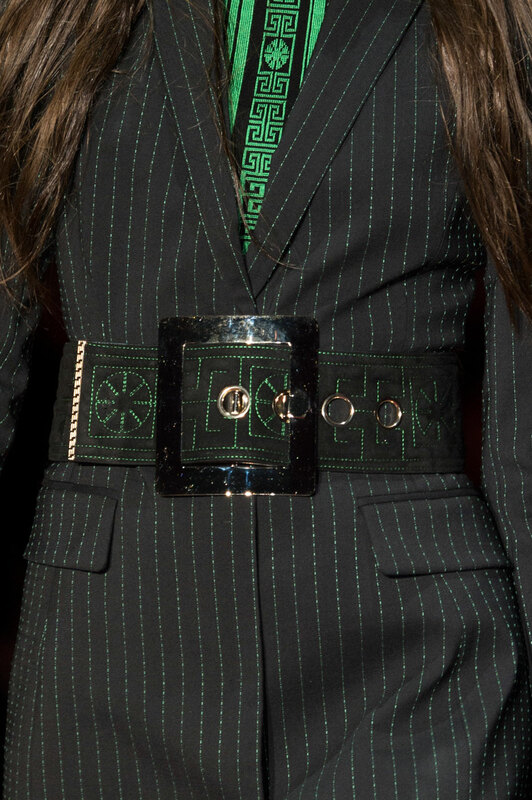 It was a beautiful combination of Versace’s past, bringing back the fashion alphabet and updating it with a modern, digitalised edge. 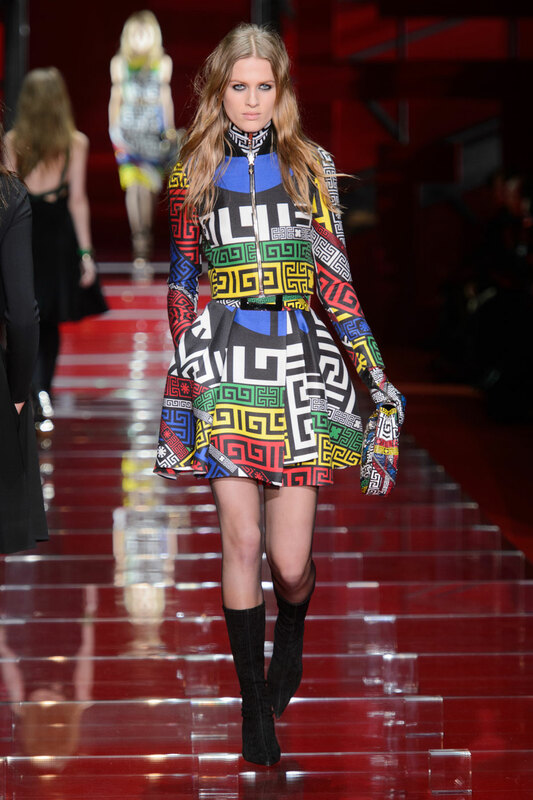 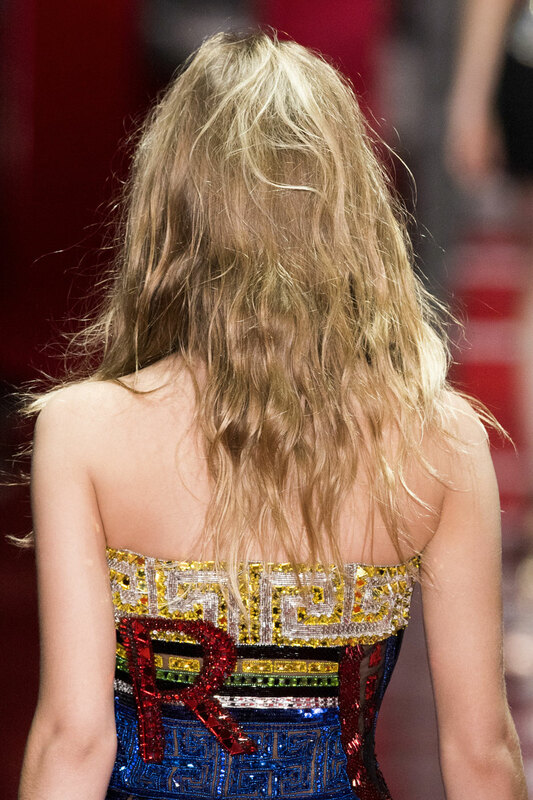 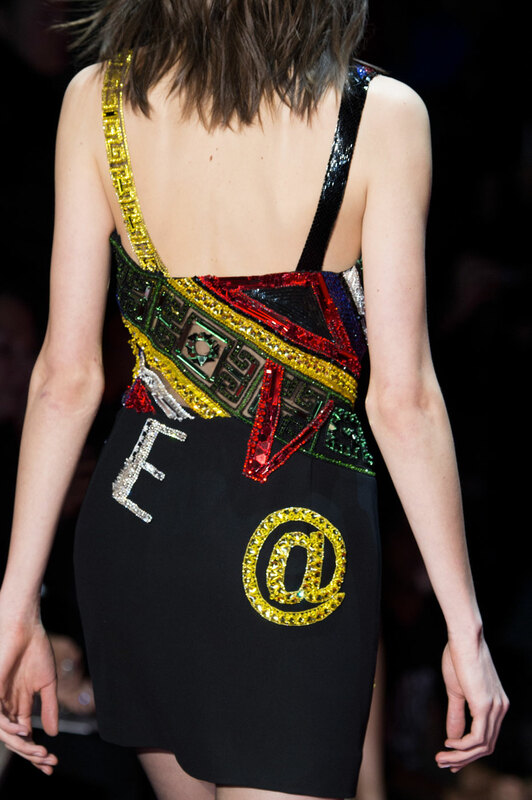 Donatella Versace once again has left her mark on the runway.